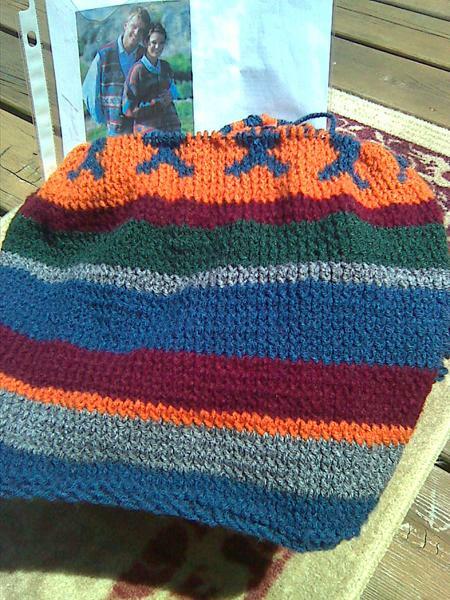 About 2 weeks ago, I came to the startling realization I have been twisting my purl stitches. Once I discovered this faux pas, I immediately set about righting my wrongs, and in no time was back on track. 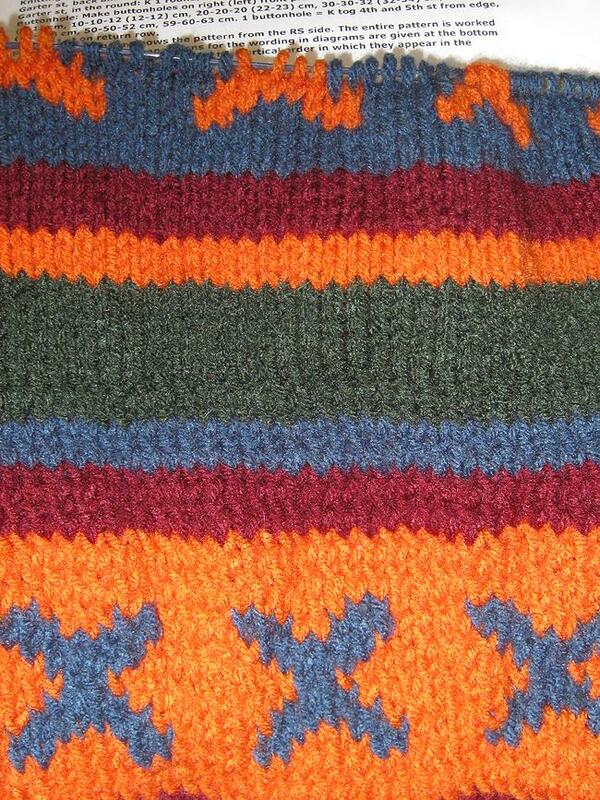 I previously had blogged that I had difficulties with the X portion of the Alaska pattern. 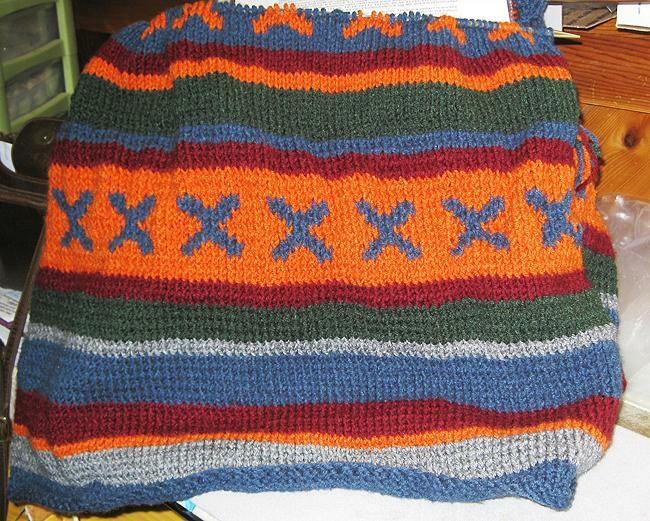 Having ripped out the X’s twice, I finally adapted a two-handed knitting technique which I used to complete the pattern rows, while eliminating the pesky bunching that kept occurring. On the 3rd attempt, I finally got it to a more acceptable finish. 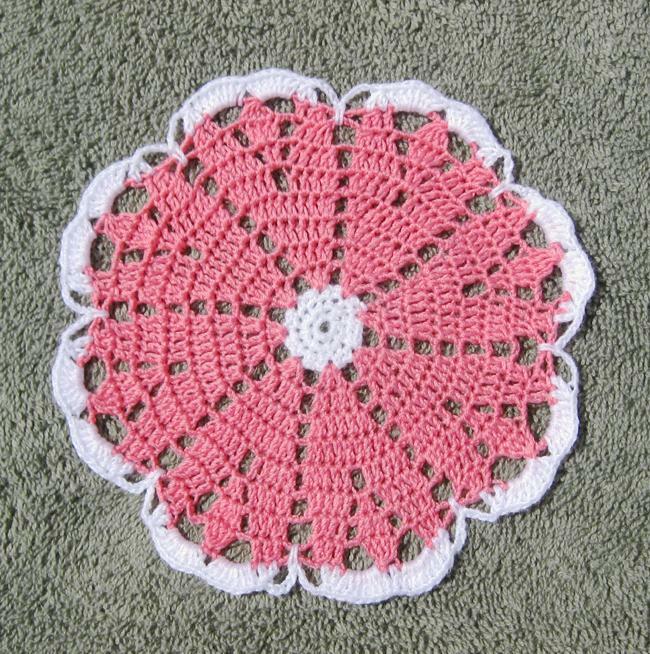 Then I discovered my error in the purls, and once I got to the second set of X’s, it became immediately apparent that this was the cause of my past issues-the twisted stitches were causing more tension on the rows, preventing the floating strands from stretching. I’ve come to the second set of X’s and happy to say, the pattern appears to be working out just fine now, no puckering at all. I’m ready to gift the 5th Chemo Coaster of the Month to the next-door neighbor-she’s completed her 4th treatment this past week, and so I’ll check in on her tomorrow. I purchased two new books and am anxious to get them. Amazon has the best deals! Fall has fell, and so are the temps-they’re talking deep frost tonight. I haven’t seen the Hummingbirds, and wish them a safe trip South for the Winter. I will miss my Little Girl, and look forward to her return next Spring. 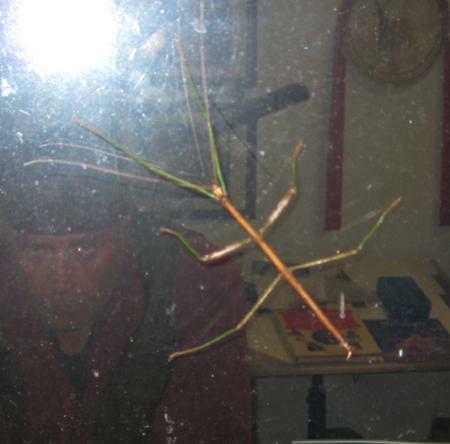 There is a Walking Stick on the office window tonight, and he appears to be down for the night.